You can attach Moment Lenses over either lens on iPhones with dual lenses on the back. However, one is better than the other, depending on what lens you are using. If you use a Tele Lens over the wide iPhone Lens, they will basically cancel each other out. We suggest using the Moment Tele and Macro lenses on top of the right iPhone lens or the lower lens on the X (a Moment Tele over the iPhone tele lens will give you 4x optical zoom), and Moment Wide and Superfish lenses on top of the left iPhone lens or the upper lens of the X. 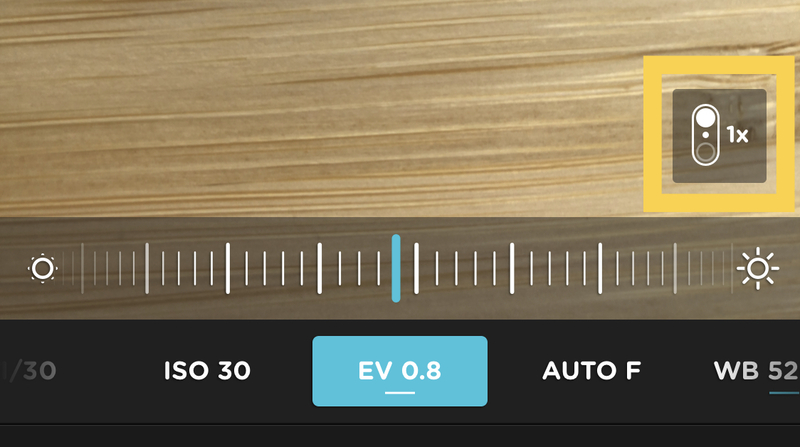 Using our app, you can select which iPhone lens you want the camera to use. If your camera view is black, tap this 1X/2X, located in the lower-right corner of the viewfinder, to switch to use the other lens. Another thing to note: you cannot use Apple's dual lens portrait mode with a Moment lens on since this mode uses both iPhone lenses to achieve this look. However, on the iPhone XR (which uses a single lens to achieve the portrait look) you can use a Moment Lens with portrait mode (in the native Camera app) and will get some pretty awesome results.